Are you looking for a way to inject magic and sparkle into your big day? Then what about lighting up the night sky with a fantastic firework display? But, there are a few things to consider before ending your day with a bang. 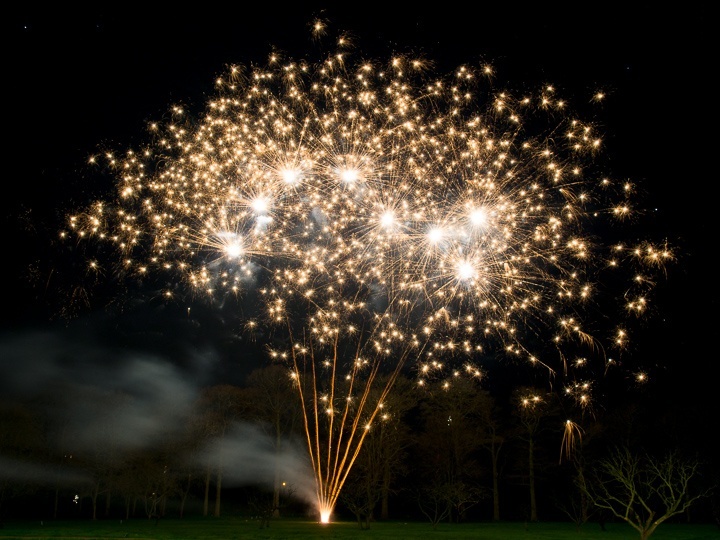 We ask Charlie Heeley-Cregan, of Wedding Display Fireworks, what you need to know about wedding day fireworks. If you are looking for a show-stopping end to your wedding celebration then the sky is the limit! 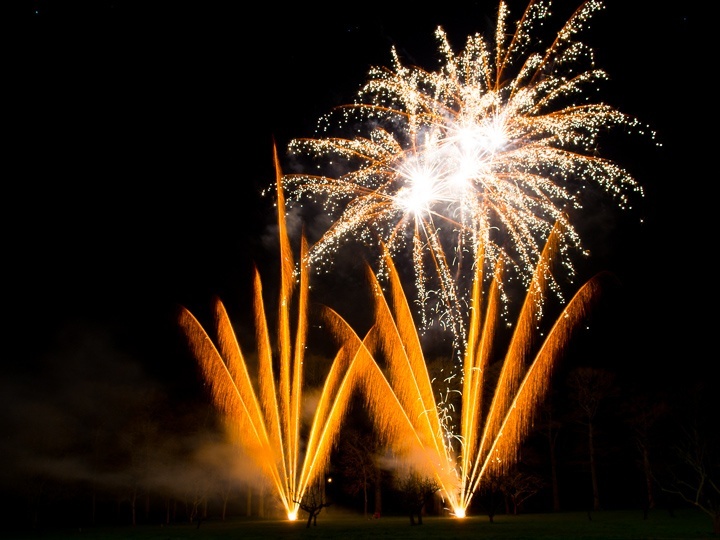 A firework display will ensure your special day ends on a high note and is the ultimate way to round off your celebrations. But before you consider breaking open a selection box of Catherine Wheels and Roman candles it’s important to know the rules and regulations. Always use a professional pyrotechnic company who will look after every aspect of the big day for you – from site surveys and risk assessments, to insurance and everything in between. The rules and regulations around fireworks are complex, so the professionals will look after everything for you – from contacting any nearby airport to giving courtesy notification to the police. All reputable firework companies will be properly insured and will have all the latest gadgets, features and safety equipment in hand – something an amateur display couldn’t come close to matching. If fireworks are high up on your list of priorities, don’t book your venue until you’ve asked if they allow fireworks. There are various reasons why some venues say no, most of them related to noise restrictions or health and safety issues, so talk to your venue’s wedding co-ordinator. 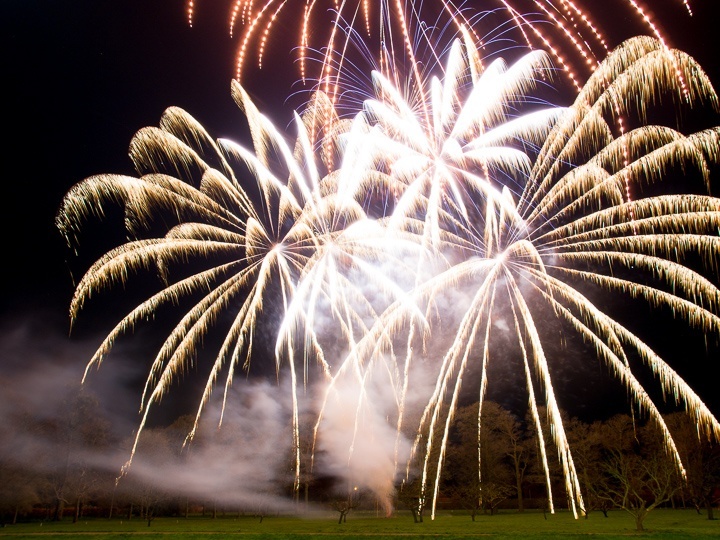 Some venues, like Shottle Hall, request the use of quiet fireworks – which are actually much more colourful – out of respect for their neighbours and the nearby farming livestock. It is against the law in the UK to set off fireworks between 11pm and 7am. So, if you're planning on lighting up the night, you'll need to plan it before the last dance. There are a few exceptions - fireworks can go on until midnight on Bonfire Night, and until 1am on New Year's Eve, Chinese New Year and Diwali. However, we have had three or four couples this year who have chosen to set their fireworks off at dusk which can look incredibly effective. It’s possible to add music to your display to create what’s known as a ‘pyromusical’ which means you can choose your favourite track and seriously talented designers use sophisticated software to choreograph a dance of fireworks to accompany it. Of course, this is an additional cost and most firework companies won’t mind if you want to ask your DJ or band to play something for during the firework display, which can be the best compromise. Pyrotechnics has to be an exact science, we use Google Earth to measure sites out and we don’t hand fire anything – we use a cure little panel which sends an electric charge to light our fireworks. Our crews have vigorous training and drive unmarked vehicles so your guests won’t see us setting up. We have various firework packages for couples to choose from and don’t forget to think about sparklers. Why not create that once-in-a-lifetime feeling and asks your guests to create a walkway with sparklers for your send-off. Make sure that children are supervised and have a word with your photographer – slow time-lapse pictures can look absolutely stunning. 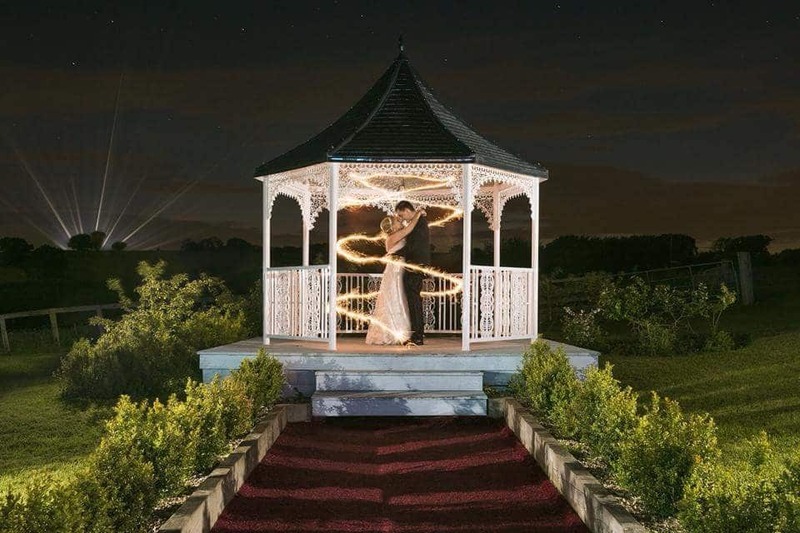 Pyrotex Fireworx are one of our recommended wedding suppliers.